Touch International’s optical filters and film enhancements improve display optics, allowing for maximum viewing performance. 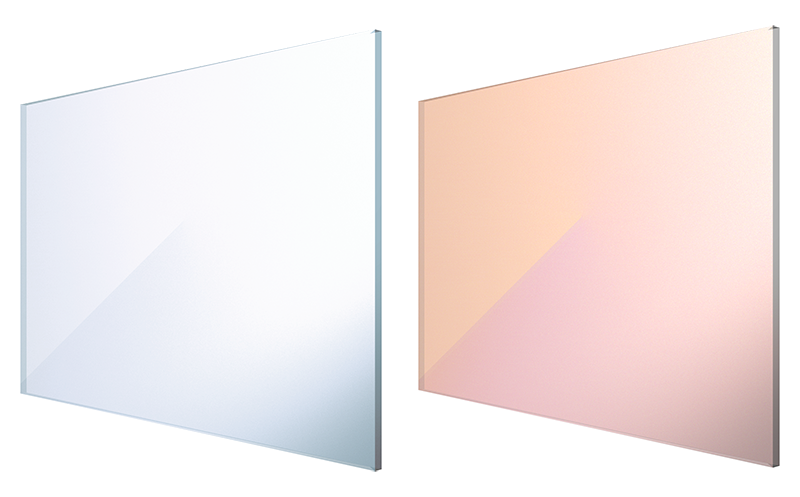 Our brightness enhancement film, polarizing film and color filters work to improve color contrast, brightness, and overall image quality. All of our optical films can be laminated to multiple substrates including glass, acrylic, and polycarbonate. Touch International’s optical films (brightness film, polarizing film and color filters) allow displays to realize their full optical potential. Through vertically integrated manufacturing, we are able to produce optical filters at our Austin, TX and our Shenzhen, China facilities and can easily integrate them into a cost-effective fully custom touch display solution. Working well in direct sunlight applications, Touch International’s anti-glare film/anti-reflective film (AG/AR) can be applied to glass and plastic substrates to reduce surface reflections and scatter specular reflections into a wide viewing cone. The anti-glare film also improves scratch resistance. Anti-Glare filters add enhanced glare resistance to anti-reflective surfaces and are often used in many different kinds of displays and can be applied to both glass and plastic substrates. Touch International’s privacy filters are designed to keep personal information private by limiting the viewing angle of displays. Touch International offers two types of privacy technologies – blur privacy film which blurs the image when viewed from off center, and micro-louver privacy film which blackens the image when viewed from off center. Touch International’s micro-louver and blur privacy filters can be used in touch screens, ATMs, medical displays and personal computer displays. Touch International’s infrared filter works to reduce display heat and rejects 60% of solar energy. We also offer an all-glass hot mirror which rejects 90% of solar energy. Our heat rejection filters and hot mirrors are used in outdoor/high-temperature areas and can be laminated to glass, acrylic or polycarbonate. Touch International’s heat rejecting, IR blocking filter and hot mirror, protects displays from damage caused by extreme atmospheric conditions, preventing LCD clearing or blackout.